This wonderful dash cam by APEMAN records 1080p video and features multiple cameras for recording what happens at the front and back, both. It’s currently discounted to just $48.99 from its usual $70 price. Dash cams are becoming something that we all need to have in our cars for various reasons. Driving can be a precarious pastime and knowing that everything is captured on video, should the worst happen, can be of real peace of mind. 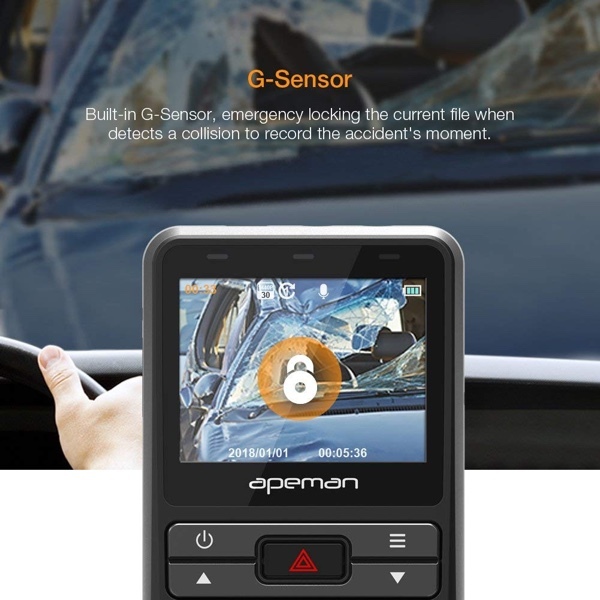 Thankfully, the price of a good dash cam has continued to fall in recent months, and the APEMAN cameras are always great options for a combination of value and features. Right now one of the colmpany’s dash cams is available at a special price, too. The camera in question is actually a package of two cameras, meaning users can record both the front and rear of their vehicles while on the road. That can be a huge benefit if someone was to have a collision from behind, and with the cameras supporting full 1080p video, nobody should have any problems seeing what happened, either. One great feature that not all cameras offer is a G-sensor, meaning the camera can record if it experiences a collision or feels that a crash has taken place. That’s a huge deal when it comes to saving storage space, and shouldn’t be overlooked. So what’s the deal? Right now you can get this pair of cameras for just $48.99. These levels of discount don’t come along every day, so don’t snooze on this deal if you’re in the market for a dash cam.